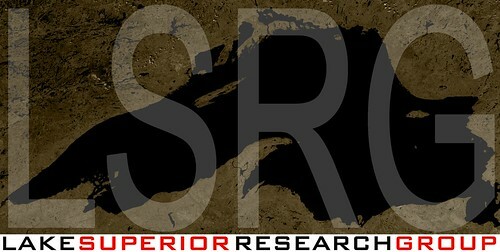 The Lake Superior Research Group (LSRG) was created in early 2008. the LSRG is an initiative created by myself Zack Kruzins, Aaron Nicholson, and Jessica Johnson with the support of Darrell Makin of the Outdoor Recreation, Parks and Tourism department and Rob Stewart of the Geography department at Lakehead University in Thunder Bay, Ontario, Canada. Our aim was to encourage research and increase awareness about Lake Superior and its surrounding communities. We coined the LSRG out of a desire to encourage students from multiple disciplines to create their own educational opportunities with a unified and collaborative focus on their own backyard. When i returned to Thunder Bay for school in the fall of 2007, I didn’t quite know where or what i wanted to do but had this vision to conduct a very long sea kayak expedition on the Lake. 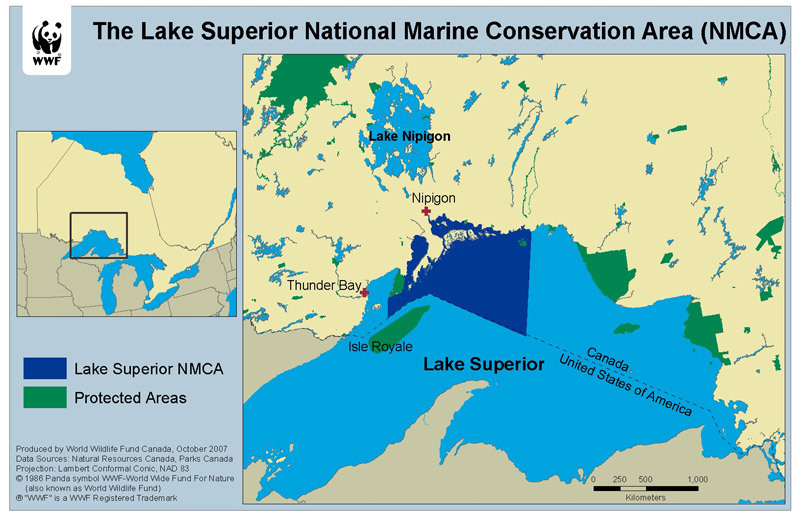 With the announcement of the Lake Superior National Marine Conservation Area (LSNMCA) that fall I knew that this was my opportunity. I then came together with my two good friends Jessica Johnson and Aaron Nicholson and made it happen. We talked about doing a long kayak expedition ever since our first trip together in the Rossport Islands in spring 2006. With the announcement of the NMCA, we decided to plan and organize a 50 day sea kayak research expedition focusing specifically on that region, an area that can be paddled comfortably in a week. From spending this extended period of time paddling the vast majority of shoreline and islands, we became even more connected, met many locals, and recorded invaluable information about levels of human use, coastal sensitivity, and risk management. Since then I have been dedicated to the protection of this area. To learn more about the 50 day sea kayak expedition on lake superior in summer 2008 you can read about it and see photos at the old Lake Superior Research Group (LSRG) website. This hasn’t been updated in a while but it has all the basic information about the expedition. Originally we set out to create a Water Trail Management Plan. Between 2008 and 2012 I have put the information together into a guidebook with Darrell Makin. The Guidebook is entitled “A Paddler’s Guide to the Lake Superior National Marine Conservation Area.” It was officially released in September 2012 and now available for sale in the Thunder Bay area and beyond. It is also available online through Amazon by clicking here. We are very open to feedback and you are welcome to contact me through this site or Darrell Makin at dwmakinATlakeheadu.ca if you have further questions. Students have continued to conduct research every year at the end of the summer during the Outdoor Recreation Parks & Tourism Lake Superior Field Explorations courses (OUTD 3370). During these course students plan a kayak expedition usually in the NMCA region with a variety of different goals to give something back through research or service based projects. Dr. Rob Stewart of the geography department at Lakehead University has been tremendously supportive of LSRG projects. Rob helped co-ordinate with Aaron Nicholson between 2009 and 2012 with the Areas of Concern: Remedial Action Plans (RAP) for Thunder Bay and Nipigon Bay on Lake Superior’s Canadian north shore. The networking made in the process of our big expedition has led to the creation of this initiative with a partnership between the Ministry of the Environment (MOE) and Lakehead University. Rob has is continuing to work on this initiative with RAP co-ordinator, Jim Bailey. For recent updates or to contact them please see the link below. The wild and rugged shores of northern Lake Superior have a captivating presence that cannot be denied. For those who have traveled upon her, Superiors stunning beauty and immense power is very well known. In the summer of 2008 three Lakehead University students in the Lake Superior Research Group (LSRG): Aaron Nicholson, Jessica Johnson, and Zack Kruzins embarked upon a 50-day sea kayak expedition within the newly announced National Marine Conservation Area. While studying everything from campsites to water trails, risk management, arctic disjunct plants, lichen, terraced beaches and more, the three were treated with many of Superiors gifts. This film, a reflection of their expedition, was created as a tribute to the stunning beauty and power of Lake Superior.